We often see various new trends popping up on the largest social network, Facebook. In the past, we’ve seen viral trends such as Facebook Puberty Challenge where you had to post your first Facebook profile picture alongside the current photo. 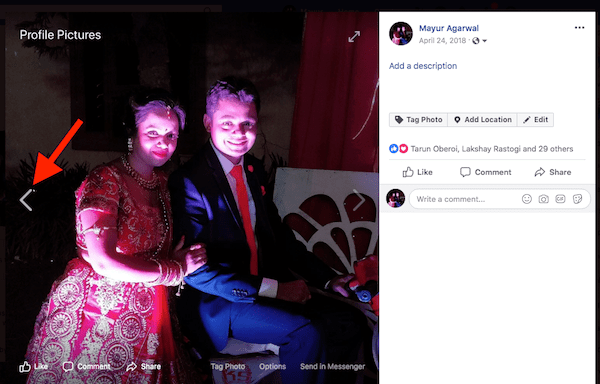 A similar trend surfaced back in 2015 where Facebook users were seen reposting their first ever profile photo posted on Facebook. This certain activity is fun as you see your transformation over the years and how people react to it. Those curious to find their first profile picture can dig it out easily by following the below steps. Perhaps, if you’ve joined Facebook around 2008 then you might notice a significant change in your looks after almost a decade. And those who joined in their teenage will probably notice the utmost differences. While posting your first Facebook photo against the most recent one, you can also nominate your friends to do the same. Now let’s find out how you can locate the very first Facebook profile picture. Open facebook.com and go to your profile. Click on your current profile picture. Hover the cursor on the picture and click on the previous (left arrow) icon. Doing so will display your first ever profile picture on Facebook. 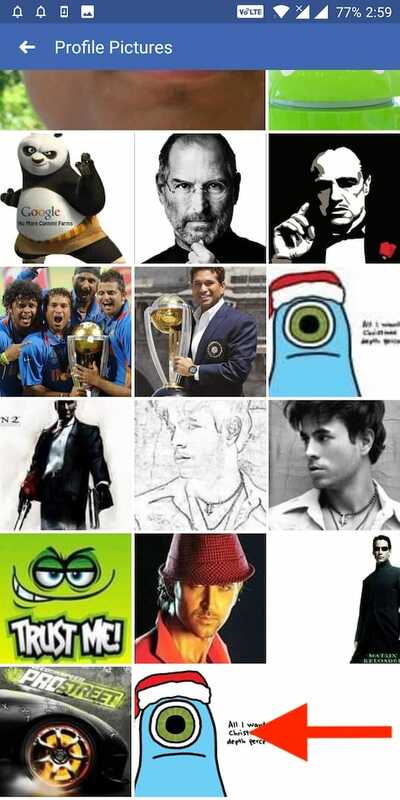 Tip: Continue clicking on the previous icon to view your older profile photos in chronological order. 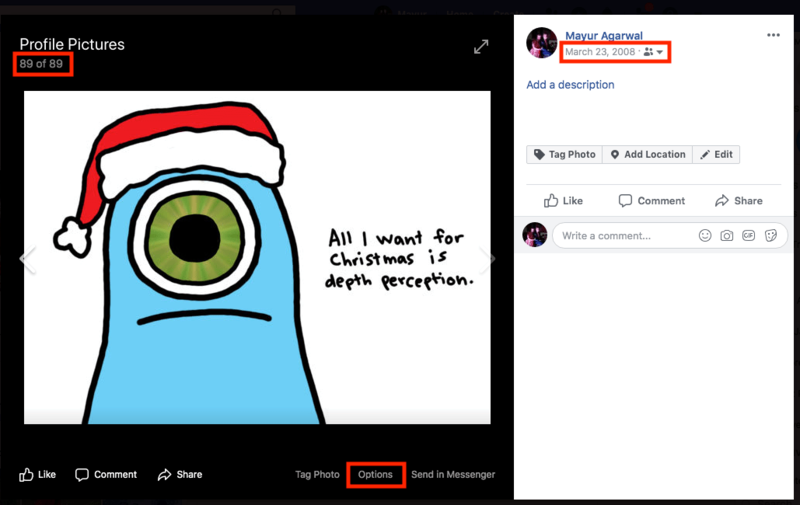 Additionally, you can check the date and year of posting, download the photo, and set it as your current profile picture once again. 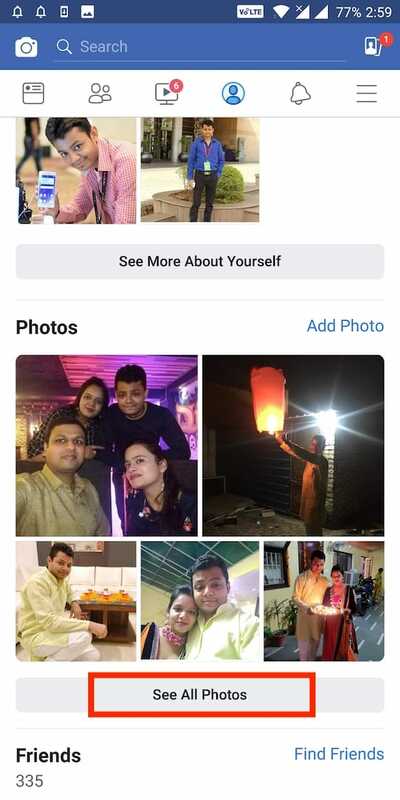 Do note that if you’ve ever deleted your first picture then it might not be your first profile picture. 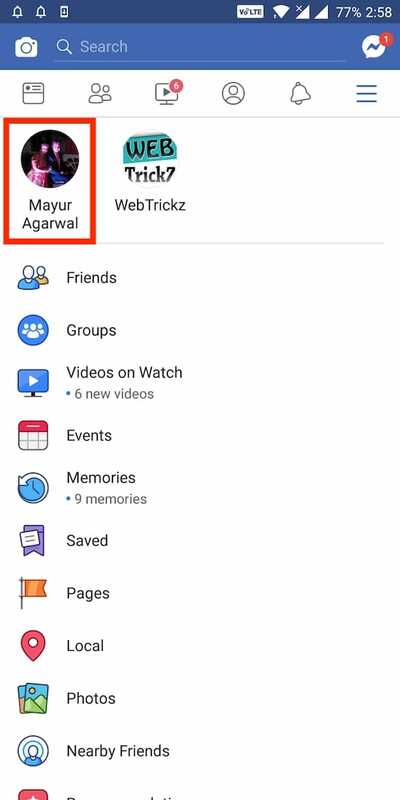 We can perform the same task on the Facebook app as well, however, a few extra steps are involved here. 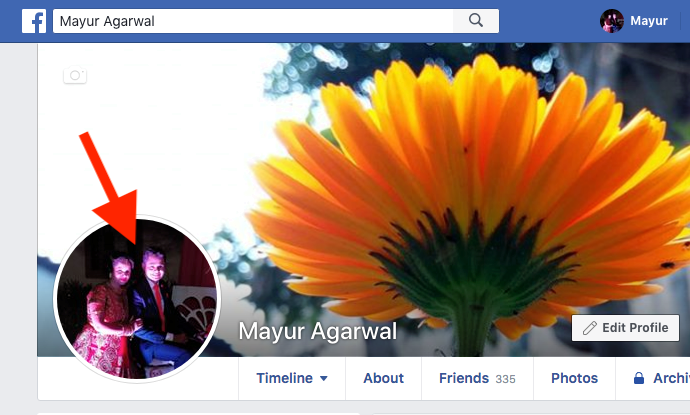 Open the Facebook app and head over to your main profile. In the profile section, scroll down to Photos and tap on “See All Photos”. Under Photos, select the “Albums” option. 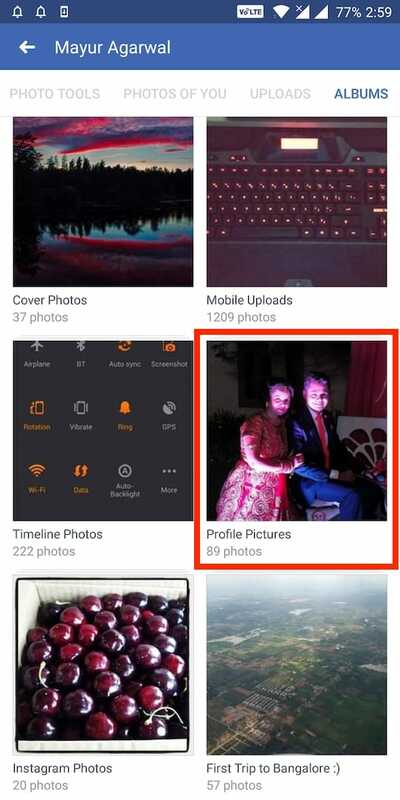 In Albums, tap on “Profile Pictures”. All your profile photos will be displayed. Scroll down to the bottom of the page. Here the last photo will be your very first profile picture. Meanwhile, the above procedure should be similar on Facebook for iOS.